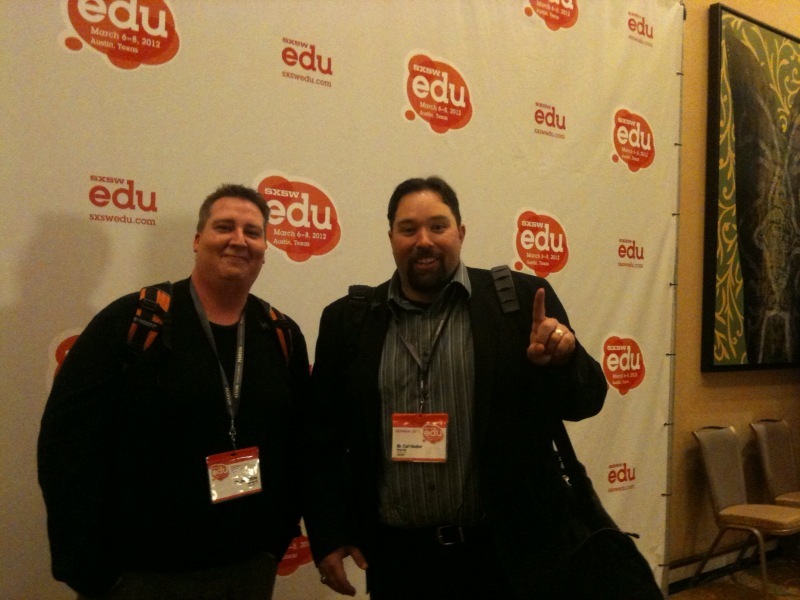 Having attended SXSW Interactive last year for the first time, I had certain expectations going into #SXSWEdu. However, a first glance at the program left me a little concerned that it was too tied to TEA Initiatives and not indie enough to meet #SXSW standards. 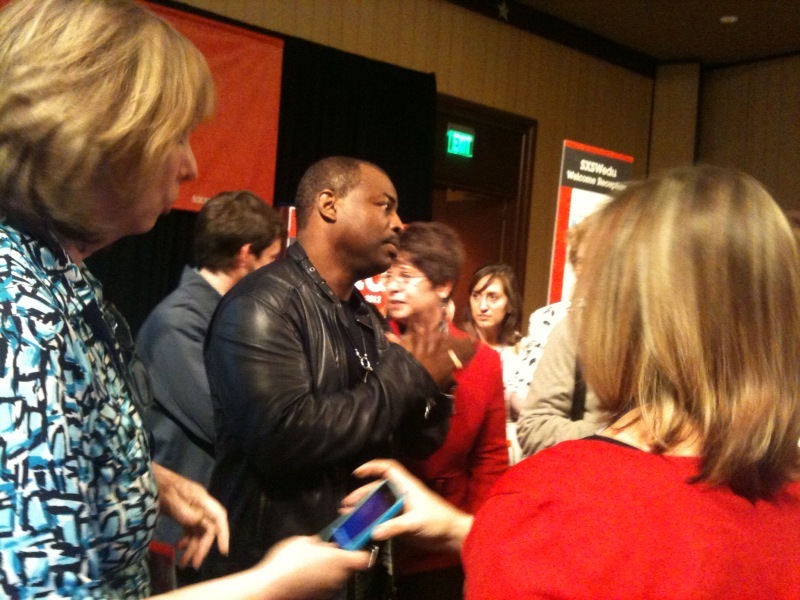 And to be honest, the first day at #SXSW Edu left me a little befuddled about what SXSW Edu was all about. There were some good and meaty sessions but also there were quite a few mainstream vendor sessions, like one from Dell, one from HP, one from Google(debating over whether I can lump Google in the same category) and many from TEA/Project Share/Epsilen. Does this really fit the “indie” spirit from which SXSWEDU was born? Doesn’t having such a consolidation of sessions on Project Share make #SXSWEdu seem more like a Texas conversation instead of a national/global one? And with all the many programs out there and innovative schools and educators, should that much time at #SXSW Edu be devoted to one initiative? If this conference wants to grow and not be considered tethered to TEA (which being a #SXSW event, it shouldn’t be), this is an important question to consider. Also befuddling was who the expected attendee was? In terms of educators, the audience was rather unclear. And at one point, start-ups outnumbered educators in some sessions. 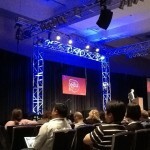 That being said, overall, my experience at SXSW Edu got increasingly good over the 3 days of the conference. Sessions the second and third day were meaty and less vendor influenced (other than Project Share–and some of those were meaty too). I learned a lot, heard some thought provoking conversations, and pushed my thinking. The level of presentation/conversation is higher, which I liked- it felt like we could move beyond those “beginner” types of conversations and knowledge and connectivity were just assumed, which was refreshing. 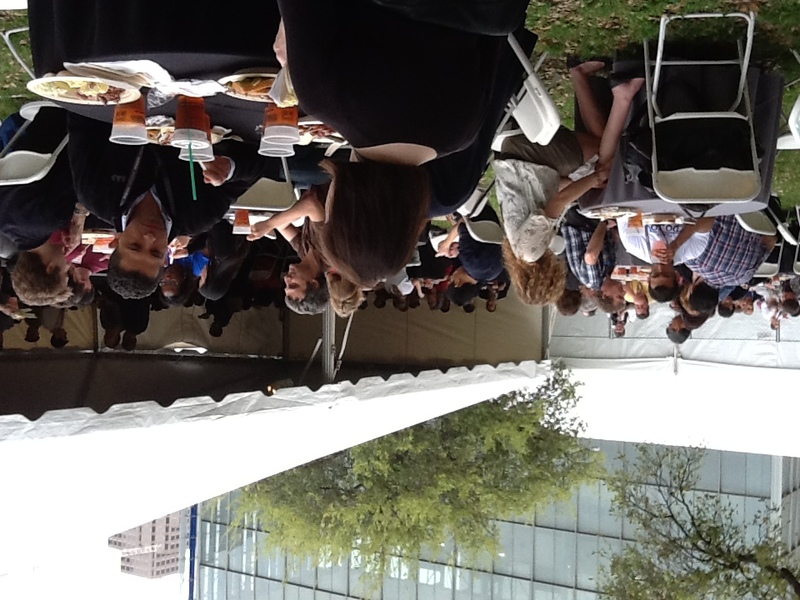 Also, the fact that SXSW Edu had so many built-in and sanctioned meet-ups was a wonderful opportunity for educators, entrepreneurs, academics, and tech company reps to network and interact informally and it also kept the indie feel of the main SXSW conference. The distinguished speakers were interesting and intriguing and the opening keynote concept–tying three simultaneous conferences together with a joint Keynote via videoconferencing was very creative. 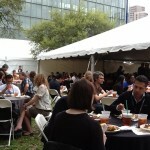 In fact, SXSW Edu did a great job of pulling some speakers that were maybe not the “typical” education conference speakers and connecting us–that I really loved. Jane McGonigal was excellent, for example, and her sort of session exemplifies SXSW spirit for me. 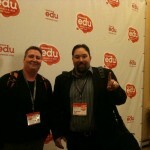 (Bringing in TED Talk speakers an awesome idea). (Although I am still puzzled as to why the CEO of Pearson was one of thekeynoters–that did NOT feel like indie spirit to me). 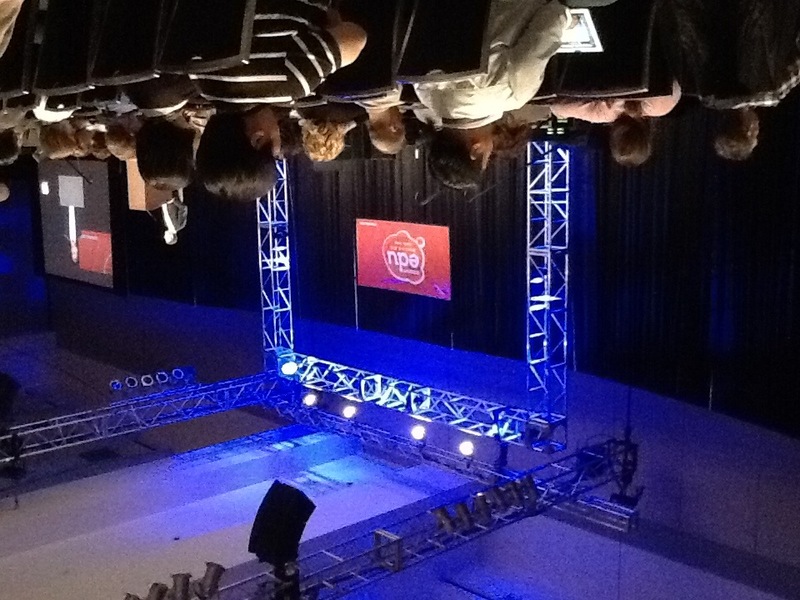 And SXSWEdu was able to leverage the power to have Arne Duncan and Karen Cator speak. Even though sessions seemed sort of a mish-mash initially,(which again, makes the target audience question confusing) every one that I attended was thought-provoking in one way or another if I matched myself with the right session. I ended up liking the variety. I especially enjoyed the panel presentations though I wish they had all been a little bit longer so there could have been both more Q and A time. 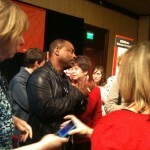 (Admission: I was on a panel on School 2.0, which I also enjoyed–love to participate in panels.) And I loved that they included the LaunchEdu competition ( education startups compete with rapidfire presentations of their idea and judging by a panel) in the mix. How about a LaunchEdu for student entrepreneurs next year, by the way? One note about that–I would have liked to see more teachers on the original judging panel for the Launch Edu startups–who better to help determine the finalists for education software startup tools than teachers? What I hope for #SXSWEdu to be/become is a place for a variety of voices in education, and a place where entrepreneurs can come, not just to push their startup ideas, but to listen to the needs/concerns of educators K-16. I want to hear keynotes that provoke, challenge, or make us curious. I want to be able to “mix” with people, network with “unlike” colleagues and to have the education-thinking pot stirred a little bit by bleeding edge speakers. I’d love to see a clearing house for educators: a “what we need” and “what skills I can provide” board where entrepreneurs and educators can communicate with one another. And I’d like to see a truly global connection, like SXSW has. It’d be cool to have a conference where we could talk with a Finnish educator or a Korean educator or… you get the drift. And some more students–I think the ones that were there added a great deal to their panels. I’d like to hear from a few more “bleeding edge” practicing teachers or schools asking the tough questions. And I think SXSW Edu has to think about what audience it wants to attract. For one thing, I think the focus needs to be clearer. What does the conference want to be? It seems to be having an identity crisis as I’ve mentioned previously. If teachers are going to pick and choose among conferences competing for their attendance, they have to be able to understand what SXSWEdu is all about. And if they want to have a larger reach beyond local educators, that is important. The reasons start-ups want to attend seem clear, but how can these conversations be a draw for educators and what educators are you wanting to attend? Classroom teachers? Administrators? Curriculum folks? Techie types? Cutting edge educators? Academics? Idea-exchangers? I think it’s really important to have the K12 contingent there–with funding what it is, it is possible this could end up mostly attracting college educators and then I think a huge “real” piece of the education audience would be missing. Larry Rosenstock–High Tech High(or any teachers from High Tech). The array of work they are doing is fascinating and this is a perfect conference for opening up conversations about it. I was wildly curious about all the assignments he jetted through. Chris Lehmann and SLA teachers– A natural fit for these sorts of conversations. 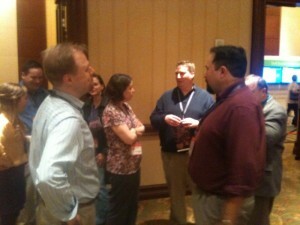 I hope SXSW Edu reaches out to him next year. School design representation– Christian Long? Jeffrey Sharpe? Other people I’ve never heard of? poking around at how our spaces connect with learning. Some cool PBL folks like Kerissa Bearce or other PBL charter school types. Reggio Emilia — Gary Stager has me curious about this. Overall, I could feel the event starting to shape up this year, and I hope it finds its identity. The k-12 world needs an offbeat, nonmainstream, thought provoking conference. And part of what is cool for us in K12 is really–there aren’t conferences we go to that have the “hip” factor and the ability to blend all the varied idea people together like SXSW can (other than Chris Lehmann’s Educon conference) or that treat educators quite so much like respected contributors in a “non-schooly” way. I’m looking forward to watching this grow. I agree! 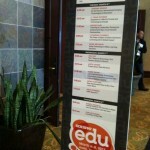 Although, I only got to attend one day, I found that SXSWedu was unclear with their audience. Arne Duncan didn’t seem sure who he was speaking to during Thursday’s keynote. I liked the intimate feel and the opportunity to hear things that got your wheels turning. I attended a panel with children as the panel and I loved hearing the student voice. It is interesting that many sessions focused on us raising global citizens in a digital world, yet that piece was actually missing from the conference. 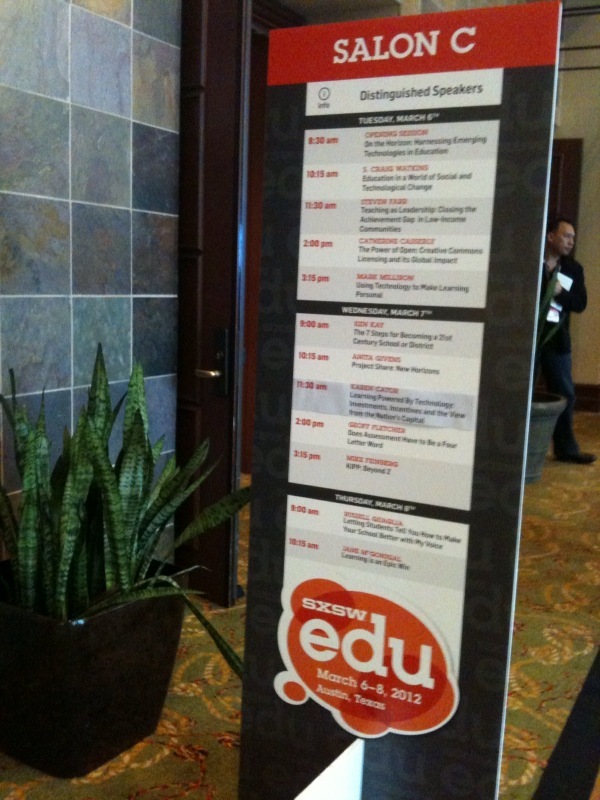 At a coffee shop on the way to SXSWedu, I had a parent ask me if SXSWedu was edgeier than other education conferences. Since this was my first year, I wasn’t sure, but the idea got me excited. I am sad to report that it wasn’t edgey, but it has potential to be edgey.